Clovis people weren't the first in America. For many years, scientists have thought that the first Americans came here from Asia 13,000 years ago, during the last ice age, probably by way of the Bering Strait. They were known as the Clovis people, after the town in New Mexico where their finely wrought spear points were first discovered in 1929. 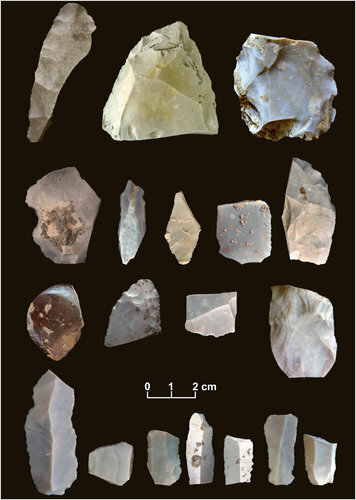 But in more recent years, archaeologists have found more and more traces of even earlier people with a less refined technology inhabiting North America and spreading as far south as Chile. And now clinching evidence in the mystery of the early peopling of America — Clovis or pre-Clovis?